Mania.com Lists Sailor Moon Again, New Lingerie Commercial From Italy Inspired by Sailor Moon, And a Little News From Hiro! Sailor Moon #8 on New List from Mania.com! The consummate “magical girl” title, Sailor Moon was to girls in the ‘90s what Dragon Ball was to boys, and for a while was every bit as popular. Usagi Tsukino (Serena in the English dub) is a typical school girl until she meets Luna, a talking cat who helps her unlock her dormant powers, fighting as Sailor Moon, to defend Earth from the Dark Kingdom. 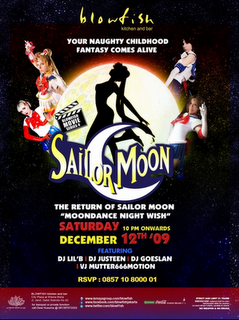 Though Sailor Moon was aimed at teenage girls, its mix of common shonen fighting tropes and magical romanticism gives it a wide appeal; it is an early example of a series aimed primarily at females with strong, female protagonists who are able to be leaders, and it helped spawn other popular titles such as Wedding Peach and Revolutionary Girl Utena (another missing title). A recent resurgence in popularity in Japan has renewed interest worldwide, but it seems strange everything Dragon Ball gets constant re-releases while Sailor Moon was allowed to disappear. And may we add Dragon Ball Z? It seems to us that there has been a lot of Dragon Ball and Dragon Ball Z related releases in the last year. We couldn’t have agreed with that comment more. Bryan Bullard Choreographs New Commercial for Pompea Which Contains Choreography Inspired by Sailor Moon! How was it shooting this spot for Pompea, in which you are shown as a ballet-style cartoon (Note: inspired by Sailor Moon, according to the choreographer Bryan Bullard) in the middle of an office? The rehearsals caused me to hallucinate, because on the first day I spent two hours jumping continuously and my legs were destroyed. But, it was fun, it was a good experience! And Finally, A Word From Hiro! Animefun has posted a new article with some words from Hiro! The big reason for the delay of the re-broadcast from January to March is because there was a delay in Mediaset getting the video. But there will be no video censorship (so stop your complaining Vera Slepoy, and let the fans have their day). The show will air 7 days a week at 5:35 and 9:30 – and it is on the schedule! Please, let nothing stop Sailor Moon from coming back on the air again. Everyone in Italy, please tell your friends and everyone you know to watch and show Toei how much Italy loves Sailor Moon! The other pieces of good news? The episodes are going to air in the correct order, instead of the mangled order they aired during the first run. There will be two-minute commercial breaks during the show, but when the show airs on Italy 1 in the Fall, these will be reduced to breaks that last anywhere from a minute to 80 seconds. Congratulations to our readers in Italy – only a few more sleeps till Sailor Moon is back on the air again, and we wish we could see all your happy faces! Ready to see the commercial? Click here to watch it. 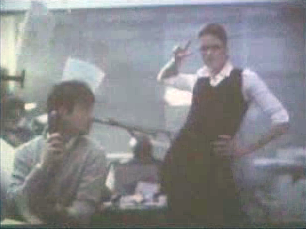 The commercial is shown in its entirety, but in shambles among interviews with the director, choreographer, and actors. BREAKING NEWS: Kirsten Dunst Music Video in Akihabara! Takashi Murakami’s short film Akihabara Majokko Princess starring Kirsten Dunst has finally been posted! 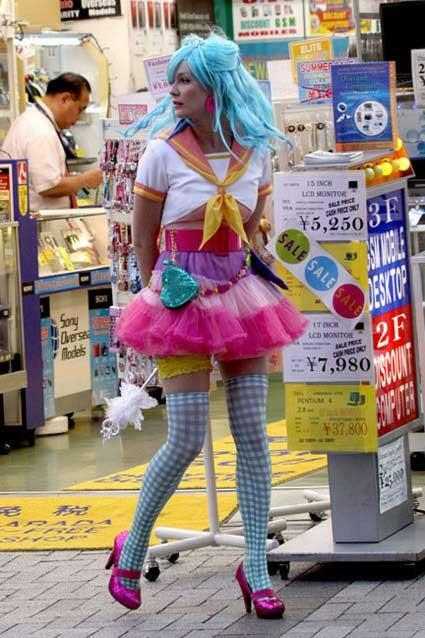 The music video has Kirsten dancing in Akihabara singing a cover of Turning Japanese by The Vapors and wearing a horribly clashing, extremely garish costume that has been compared to Sailor Moon’s outfit. We recommend that only older readers watch the video. There are some background visuals that are not suitable for children. EDIT: it appears that Company3 has taken the video down, but fans can watch it on YouTube here! Sailor Moon is back… In Indonesia? We came across this interesting little gem and thought it was good for a laugh! The Blowfish Kitchen and Bar is an upscale Japanese restaurant and lounge in Jakarta, Indonesia which boasts many performance events such as this one. Although we can’t find many details about the performance, we find it rather interesting that someone would create such a grown up production based around a popular cartoon show. If any of our readers attended this event, we’d love to know more about it! Editor’s Note: Among the few files which I lost on my computer was the backup of a very important widget I used to keep tabs on all the stars of Sailor Moon. This means I have to build it up again from scratch. PGSM had the smallest cast and crew, so I thought that was a good place to start before hitting the behemoth casts that are the musical and the cartoon. So for now, this update will cover the stars of PGSM. Keiko Kitagawa Ranked 7th Most Popular Teacher According to Oricon! Japanese survey giant Oricon recently completed a poll asking people who they thought played the best teacher. Keiko Kitagawa (Sailor Mars in PGSM) came in 7th place! The article’s writer said that of all the actors in this ranking, Keiko is “the new kid on the block”. According to some of the surveyors’ opinions, they found her cute and lovable, and that with time it was very possible she could be a wonderful teacher. Coming in first place was Nanako Matsushima, second place went to Misaki Ito, and third was Kyoko Fukuda. And while we’re talking about Keiko, we’re going to sneak in another couple tidbits we came across. Keiko’s new movie, Handsome Suit is just around the corner, and the Daily Cyzo web magazine is having a contest for ten pairs of tickets to a preview of the movie October 9th! For more details (you have to be living in Japan) click here. The contest deadline is September 19th. This picture we have here of Keiko was taken at a promotional event for the movie last week. When Keiko was 17 years old, she read a novel called Norwegian Wood, about a man who remembered his college experiences back in the 60s. The novel became one of her favorites, and as fate would have it, the novel is now being turned into a movie. She read it again after 5 years, and had a different perspective about it’s meaning now that she is an actress and has a good idea of what her identity is. She called on all her blog readers to read it too. Keiko will also be endorsing a new cell phone in Japan, the Prada Phone by LG (we wish we had this!). And lastly, we’d like to congratulate Keiko Kitagawa upon finishing her degree in Commercial Science at Meiji University! She will graduate in the spring. Kaori Moriwaka to Give Free Q&A and Mini-Performance in Harajuku! Kaori Moriwaka (Ikuko Tsukino in PGSM) will be having a free Q&A session and mini-performance at the Harajuku KDDI design studio on September 20th. No other details have been released at this time, as the event is being shrouded in secrecy – what does she have planned, we wonder? One detail that has emerged is that this is to promote her new podcast being offered through KDDI. This has already been a big year for Kaori with the reunion of her old girl band, the Go-Bang’s. Narushi Ikeda Cast in New Movie! Narushi Ikeda (Sugao Saito, Minako’s Manager in PGSM) has been cast in a new movie called Don-Jyu. This movie is about childhood friends who are torn apart, and eventually reconcile. The movie will be released some time next year. Filming began on September first. It is based on the award winning Chinese movie from 2005 of the same name. The movie will be directed by Tetsuya Nakashima, and stars another star who has worked with someone else from PGSM! Tadanobu Asano plays a leading role in the movie, and he worked with Keiko Kitagawa on the Docomo 2.0 commercials! 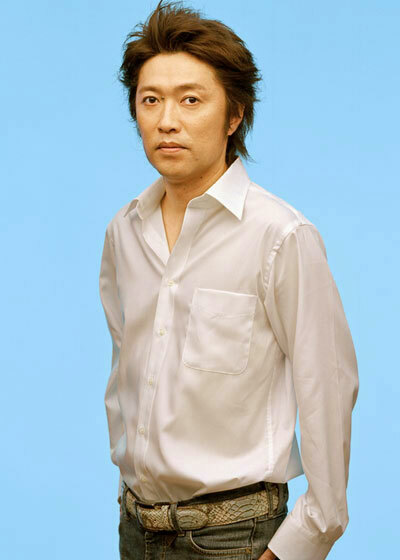 Masu Takeshi Directing New Play! 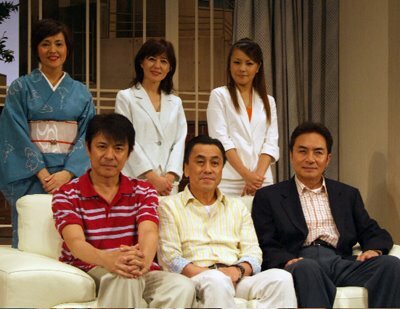 Masu Takeshi (Rei’s Dad in PGSM) is seen here first from the left on the bottom row. He is directing a new play Puzzling Sunday which begins on the 19th in Tokyo. This play is a revival of a play which was very popular in 1996. It’s a comedy about the dwellers of a luxury apartment: a daughter who refuses to obey her father’s wish for her to get married, along with other quirky visitors. Masu has had to overcome great obstacles to work on this play, just last year he underwent surgery to fight stomach cancer. He says that his health is good today, and that he can even drink alcohol now to celebrate his play. We wish him all the best with his new play and continued good health! Jyoji Shibue in New Drama! Jyoji Shibue (Tuxedo Kamen in PGSM) stars in a new drama starting September 26th in Japan! It’s a tragic story called Romera Love Feud and it is about Nanase, a 39-year-old woman whose father died in a car accident when she was 15, and her mother later ran away. 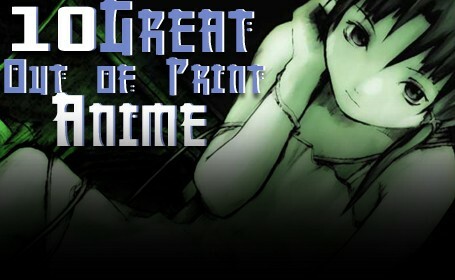 Nanase is trying to pick up the pieces of her broken life as she tries to fall in love. The show also tells his story by going back and forth from the present to when he was younger. Jyoji plays Satoru, Nanase’s best friend from her younger years. He is pictured at a promotional event announcing the premiere third from the left. And finally, we came across some Aya Sugimoto news that is definitely for our older readers only after the jump! Aya Sugimoto Engages in Some Strange Business?! Aya Sugimoto (PGSM Queen Beryl) has long been known to be in touch with her sexuality. Just a few days ago, Japanese ISP Biglobe announced a new partnership with her, wherein she offers advice for couples to get more sensual with each other. This is by far the strangest endeavor we’ve seen from Aya. We know during the time of PGSM she gained a lot of notoriety for what she said about her ex-husband during their divorce, but reading this new website of hers gave us the creeps. However, there are some other cleaner but still awkward productions of hers on the way. In November, she will be doing a Tango dance show exploring womanly desires (we’ve got the poster pictured here). She feels that she needs to express the feelings of a woman. She also has a recipe book out, and the title loosely translates to “Cooking That Will Capture a Man”. She has also posed for the Japanese branch of PETA, sitting down on a white block, wearing only white stilettos and holding a sign over her chest that says “Fur? I’d rather go naked”. That news alone is making headlines all over the world, and we can even point you to an article in English. We’re not entirely sure what phase of life Aya is in right now, but if she’s happy, then we’re happy. Breaking (And Disturbing) News: What is Really Going On Behind the Doors of Dentsu? More tragic news from Dentsu. We came across a very creepy story out of Japan last night, about a lawsuit that involves Geneon’s Parent Company, Dentsu, as well as an ousted former Creative Director of their US offices. We’re going to warn you now not to click the link below to read the rest of this story if you are under the age of 18. The content of this lawsuit is very mature and x-rated. It seems Dentsu likes to party – in a very perverse way. And they subject their employees to go along with them. Steven Biegel was the creative director of Dentsu’s USA branch for three years, in which he was responsible for developing television, radio, print and outdoor advertisements for many of the agency’s most important clients, including Canon. In 2004, he was sent to Prague for a commercial for Canon, where some of the Japanese executives told him to come out with them tonight, and didn’t say where they were going. The executives allegedly took him to a brothel. Eventually there were some other “celebrations” of this nature which Biegel refused to participate in , and he believes he was fired because of this. Fans wanting to read more of the gory and gross details of this lawsuit can go here to read some of the released court documents. Again, we haven’t confirmed if this is really true or just a bitter executive’s attempt to sue a former employer. However, if this is true, and Geneon was still in the anime business, we know we would definitely think twice about picking up another one of their titles.